Had a busy week? Here’s my round-up of good reads about charity content and digital stuff. The tireless fight to bring press releases into modern comms continues with this post by Dan Slee: Educate your client on how alive their press release really is. I thought this gave interesting insights into groups who are digitally excluded: The Changing Face of Digital Exclusion: It’s not your nan. The post is about skills so it doesn’t mention how the design of websites, apps and software is digitally excluding those with disabilities because developers don’t know or care about accessibility. The Citizens Advice digital blog is always a good read. 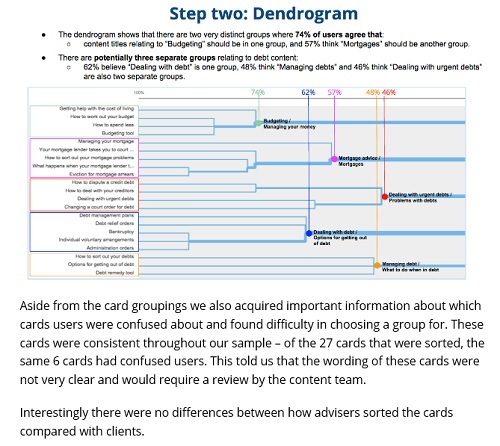 The latest post looks at internal knowledge, especially the barriers caused by poor search, volume of content and inconsistencies of language used. 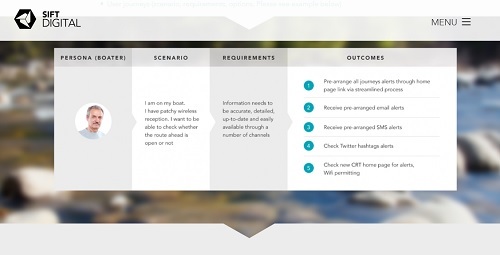 The post talks about how they’ve run workshops to identify common user goals. It’s a big and important topic to tackle, especially in an organisation of this size where information management is their bread and butter. What Citizens Advice needs from a digital workplace – And what your workplace might need too. This is a useful reminder about language and avoiding jargon. Use the language used by your audience. See also What charities can learn from MailOnline which is about ensuring your content is audience-driven and data-driven. The Big Green Bookshop in London (the one who live tweeted Harry Potter to Piers Morgan) tweeted an urgent request for help recently and were bowled over with the response. Similarly, a food bank in Glasgow sent an urgent appeal. Useful food for thought who those who don’t think it is right to fundraise on social? JustGiving tweeted brilliantly through the Marathon including this insight into their stats. The @nhs account (which has paused through the General Election period) made this video of their first six months. See my previous post on #rocur for more on this storytelling curation. The Charity Digital Toolkit from Zoe Amar and Skills Platform. London photographs in the Guardian via youth charity Accumulate. What have you read this week? Please do share your nuggets. 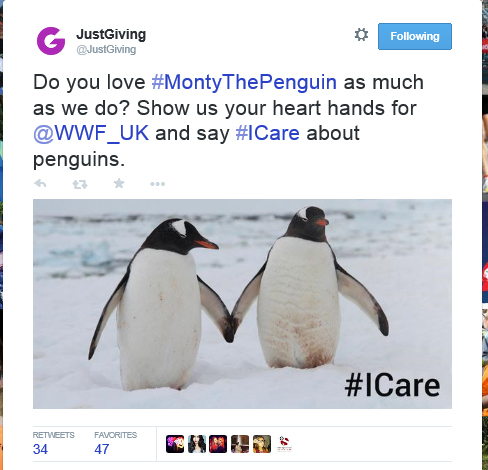 Should charities join in with mega-hashtags like #MontyThePenguin? Some charities are excellent at using social media to join in with non-charity memes as these Twitter examples show. But is it right to jump on the bandwagon? On Thursday John Lewis released their 2014 Christmas ad. If you haven’t seen it, it features a boy and penguin. By lunchtime it had had 90,000 views on YouTube, just an hour later it was up to 300,000 and today up to 4.3m! Everyone was talking about #MontyThePenguin (he’s got his own Twitter account – @MontyThePenguin). 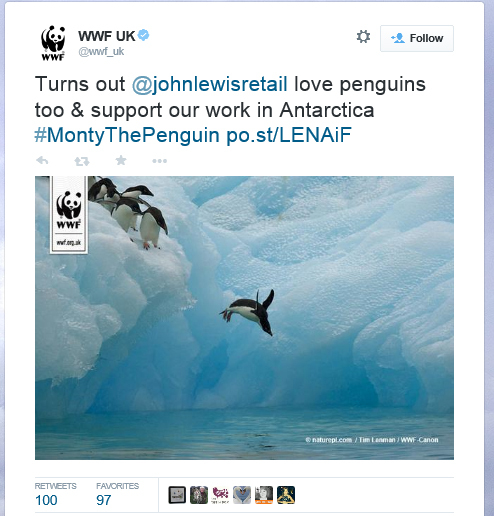 WWF who are in partnership with John Lewis responded by promoting their brilliant adopt a penguin page via this tweet which got 100 RTs and 97 favourites. and followed it up with this one. JustGiving joined in with a lovely picture and a plug for WWF. Charities unrelated to penguins got involved too. 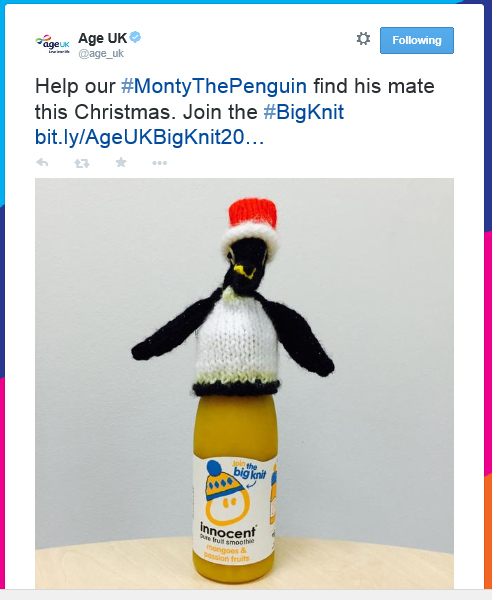 Age UK used it as an opportunity to promote the Big Knit. It got 37 RTs, 14 Favourites and 37 clicks through to the website. 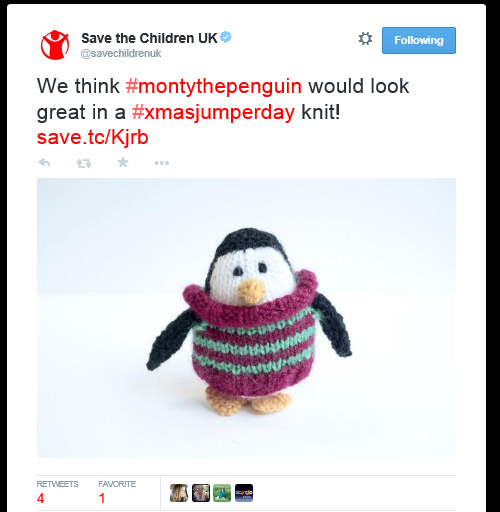 And Save the Children UK used Monty to publicise their Christmas Jumper Day. 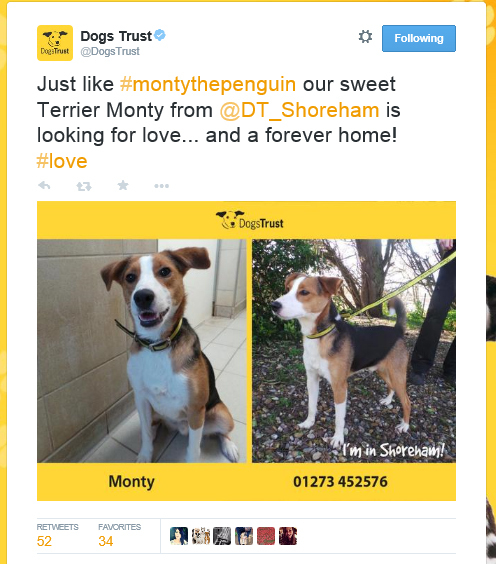 Dogs Trust sent five rehoming tweets about dogs called Monty including one about Monty the Jack Russell. They each got between 36 and 67 RTs and reported that ‘weekly RTs were up 53% compared to week before and new followers were up 66% compared to previous week’. Many others used it as a chance to plug their Christmas shops or cards (such as Breakthrough Breast Cancer). Joining mega-hashtag (or newsjacking) activities such as #MontyThePenguin can be a quick and harmless way of promoting something. It can help you reach new supporters and shows existing ones that you aren’t just wrapped up in your charity bubble. If it fits with your brand, it is good to do something fun. You have to act quickly though. Although people will no doubt be talking about Monty for a while, launch day and maybe 1-2 days after are the window for joining in. However some argue that charities should stick to strategic marketing (see Charities should be leaders, not followers on social media – Third Sector article). Personally, I think that an organisation’s content strategy should always leave room for spontaneity. If something big comes along, careful thought should be given about whether it fits and if it does, give some time to get involved. These examples all fit brilliantly with the spirit of the ad and are done really well. Hats off to them for responding so quickly and in a smart way. Do you think charities should stick to their core activities and not join in with memes like these? Or do you think they give a nice boost if pitched right? Have you seen any other good responses? Or have any insights into the time it takes to respond and the impact it has? Add a comment or tweet me your views, I’d love to hear from you.